Remember my post a few weeks ago? Well, I made that next step! Spoke with Kate, the area campaign coordinator of Team in Training for the Richmond and Charlottesville area and I paid my registration fee – got the paperwork going…and I am all signed up for the team! 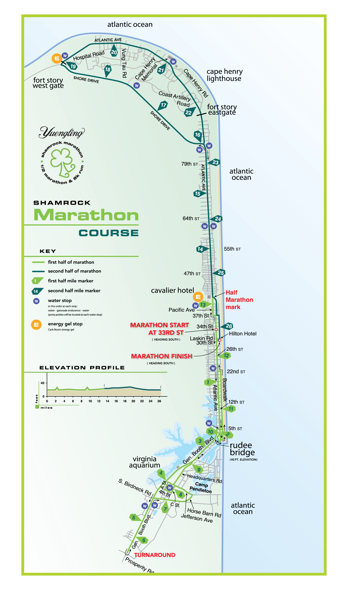 As shown above, I will be training for the 2012 Shamrock Marathon being held March 18 in Virginia Beach. This will be my first event FUNDRAISING in conjunction with TRAINING. It is a little bit overwhelming, I admit, but Kate was incredibly helpful and encouraging in all of the explanations she gave regarding the program. I am incredibly excited to join the TEAM (Train Endure Achieve Matter) and make a difference for something much bigger than me! I will attend my first meeting in mid-November, but in the interim, I’m stoked to have a head start on the fun fundraising tools made available to us. I have set up My Fundraising Page and will meet with Kate next week to work on a personalized fundraising strategy. Of course, I will be blogging about my experience with the program as often as I can but as I mentioned before, I am OPEN to any suggestions, comments or questions regarding every/anything related to fundraising for endurance events! I think you’re awesome for doing this! As someone currently battling cancer, thank you! Thanks Jamie! And OMG, you are so awesome for keeping such an amazing attitude through your fight. You inspire me everyday!! I did the half marathon in 2010 and had a blast! Good luck, I’m sure you’ll do great!